Jamie Blackburn was born in Columbia, SC in 1960. Artistic achievement was encouraged at a early age by his family and teachers. He began drawing in elementary school and winning awards for his artistic talent. He went to Lander University to receive a BA in Art and has been a professional visual artist for over 20 years. Jamie is on the South Carolina Arts Commission Approved Artist Roster and teaches workshops in SC public schools. Jamie lives and works from a home studio in Columbia, SC. 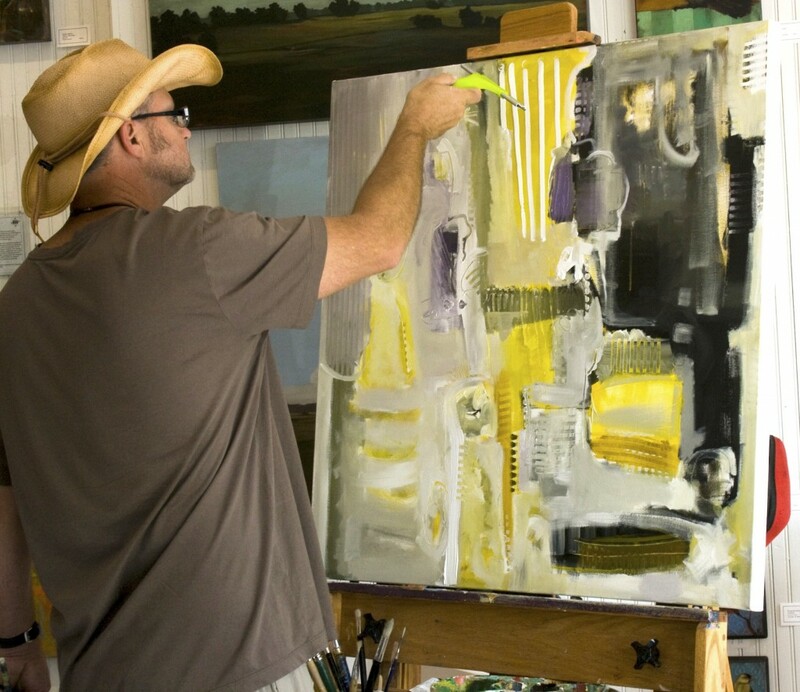 Painting is his primary medium, but he also enjoys graphic design, sculpture and photography. Inspiration for Jamie’s art comes from many sources. He loves diverse cultural symbolism, experimenting with primitive design methods and modern computer technologies. He enjoys doing research, studying artistic technique and the process of creating interesting visual ideas. Inspiration comes to Jamie as he explores various aesthetics. Diversity of style comes from his appreciation for many aesthetic forms. Jamie’s attempt to expand his creative marketability in an ever demanding industry pushes him to stay on the edge of modern design and style. He enjoys experimenting with color and form and often places elements of cloth and texture on the canvas, sometimes carving lines right into the paint. Jamie loves to layer his pallet allowing small remnant areas of the under painting to show through. He will often paint over a painting he no longer feels describes his mind leaving a little of the former, he calls this process, “colliding ideas.” He believes being diverse and a student of many techniques allows him an opportunity to serve a broad client base.